Lemon Balm and aromatic seeds can provide relief from indigestion and stomach cramps. Indigestion often causes sleepless nights. Add valerian root tincture to the tea if indigestion is keeping you awake. 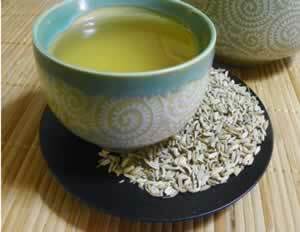 Recipe Instructions: Herbal Tea :Crushing the seeds makes it easier to extract the active principles. Use 1 to 2 teaspoons herbal blend to a cup of water, leave to infuse for 10 minutes and drink 1 cup after the evening meal or before bed.